JUNE LAKE — The California Department of Transportation (Caltrans) would like to inform the traveling public that State Route 158N has been reopened. 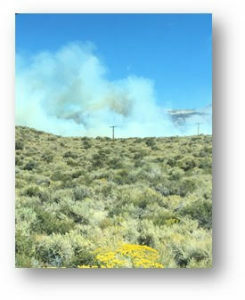 Inyo National Forest, BLM, June Lake Fire and Lee Vining Fire are continuing to work the area as it is still considered an active work zone. Even though the road has been reopened, please slow for responders in the area and Be Work Zone Alert. (From Caltrans) JUNE LAKE — The California Department of Transportation (Caltrans) would like to inform the traveling public that State Route 158N is closed to through traffic from Grant Lake to Parker Road (postmile 11.1-14.4) due to a wildfire.